Building a mobile advertising strategy and tactical plan and successfully executing on it. Atimi has created mobile sports apps for major NBA, NHL and MLS teams over the years. The CEO’s interest is to use that experience and build a sports framework for college teams where the IP is owned by Atimi and thus monetized by them as well. 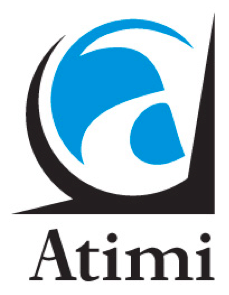 Atimi has no direct mobile advertising experience. New Road Media was hired by the CEO to understand his vision for monetization and make it happen. First, a whitepaper on the landscape of mobile advertising, including trends and players in the space was written. Then a series of meetings with direct marketers and Atimi product developers took place to solicit soft commitments from the marketers; “If we build it will you come?”. A revenue forecast model was then built for the framework including user download estimates, churn rate estimates, click-through rates, performance metrics and cpm estimates. New Road Media secured soft commitments from 5 major auto, life and home insurance companies for performance based advertising once the platform was built. In addition the revenue forecasts and whitepaper serve as collateral to help Atimi solicit distribution partners and future investment in the company. New Road Media took the CEO’s vision for monetization and built a strategy and tactical plan for that. And it executed on that plan, successfully.